DW Design Group, Inc. is a full service interior design firm. We provide each of our clients with the highest level of customer service and tailor our services to our client needs. We thrive in the creative process and enjoy all the challenges and responsibilities that come with each and every project. At D.W. Design Group, we have a broad command and understanding of the many design challenges that our clients face when it comes to building, remodeling, and purchasing furnishings. 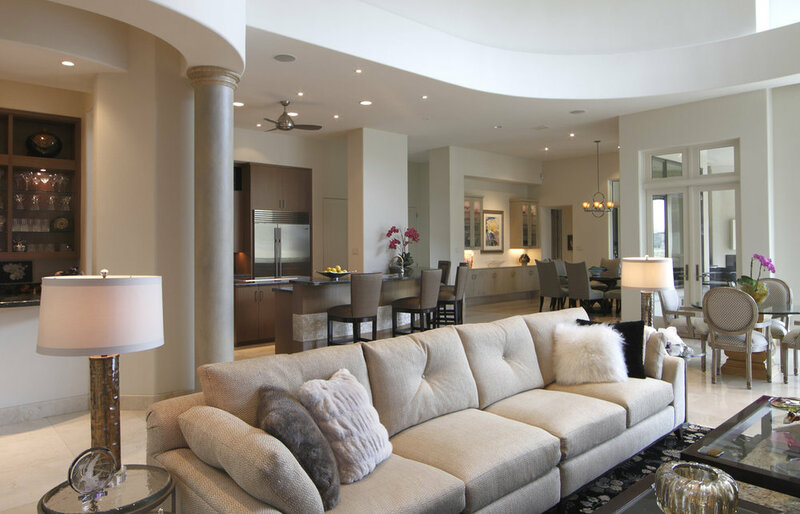 Being a full service Interior Design firm, we are typically involved in most if not all of the phases of a project. In many situations we are asked to participate in the earliest stages of the design conception where we can offer guidance through the entire creative process. Of course we take on projects in a much more limited scope as well, and we provide our clients with all the same expertise and involvements as the project dictates. At DW Design Group, Inc, we can easily step into a project mid-stream and continue forward to it's successful completion. Since we do not advertise in traditional ways we rely predominately on referrals from our past clients and from architects and builders. Our top priority is to make certain our clients are pleased with their experience, love the results of our work and would highly recommend our company to others without any reservations. We have gained recognition for our work by being showcased in national publications from time to time, and we are happy to share a sampling of those publications where we are mentioned or published as a contributing editor. Please take your time and browse our portfolio or call/email us with any inquiries. Thank you for your consideration and let us know if we can assist you in any way with your interior design needs. "In addition to your incredible creative talents, all of you are wonderful to work with! Each of you are very thoughtful and considerate, and you have been incredibly patient with us." "You will never know how much we appreciate your professional guidance in building and decorating our new home." "We love the house and all of the new furniture. Thanks for helping us pull our vision together!"